English is the international language of science, technology and human relations. It is also the language of the aerospace and defense industry. However, it is not often the native language of the readers of technical documentation. Many readers have a limited knowledge of English. Complex sentence structure and the large number of meanings and synonyms that many English words have can cause confusion. In aviation, it is mandatory to correctly understand maintenance and operation documentation to make sure that systems operate safely and correctly and to protect human lives. In the late 1970s, the Association of European Airlines (AEA) asked the European Association of Aerospace Industries (AECMA, now ASD www.asd-europe.org) to investigate the readability of maintenance documentation in the civil aviation industry and find a solution to simplify the language used to write such documentation. AECMA asked the Aerospace Industries Association (AIA) of America to help with this project and two project groups from AECMA and AIA were formed. These two groups explored the existing controlled languages and researched texts in several maintenance manuals. The results confirmed that a simplified language was necessary. On June 30, 1983, in Amsterdam, the AECMA Simplified English Working Group was founded and the AECMA Simplified English project started. 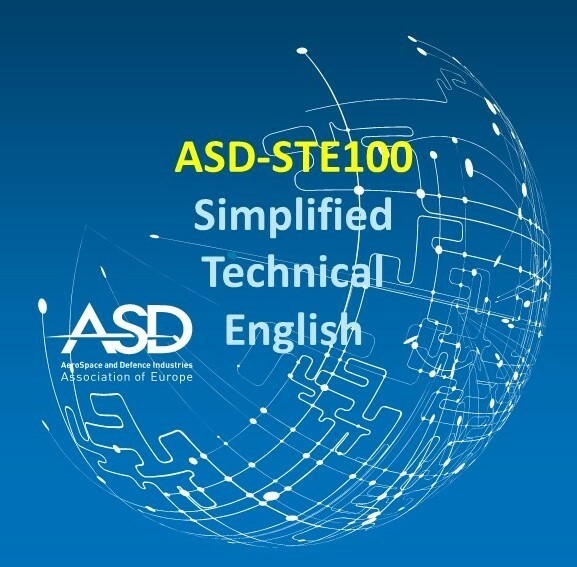 The product of this effort was the AECMA Simplified English Guide (first release in 1986) which, in 2005, became the ASD Simplified Technical English Specification, ASD-STE100. STE was developed to help the readers of English-language documentation understand what they read, particularly when these readers are non-native English speakers. Today, the success of STE is such that other industries use it beyond its original intended purpose of aerospace maintenance documentation. Interest in STE has also increased dramatically in the areas of language services, professional translation and interpreting, as well as in the academic world. Issue 7 of the specification fully replaces all previous issues and revisions. To request your copy, please follow the instructions on the Downloads page.